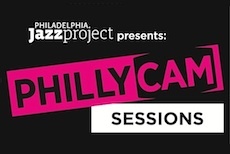 The PhillyCAM Sessions recorded over two days in August of 2014 was a programmatic highlight for the Philadelphia Jazz Project. This collaboration between PJP, PhillyCAM and Turtle Studios proved to be immensely valuable to the organziations, and most important to the participating artists, who came fully prepared to make magic happen. Featuring Lucky Thompson - Phila Jazz Project, Turtle Studios and PhillyCAM present a series of Jazz performances and interviews with established and emerging musicians. Featuring Korey Riker - Phila Jazz Project, Turtle Studios and PhillyCAM present a series of Jazz performances and interviews with established and emerging musicians. Featuring Rhenda Fearrington Trio - Phila Jazz Project, Turtle Studios and PhillyCAM present a series of Jazz performances and interviews with established and emerging musicians. Featuring Philadelphia Heritage Art Ensemble - Phila Jazz Project, Turtle Studios and PhillyCAM present a series of Jazz performances and interviews with established and emerging musicians. 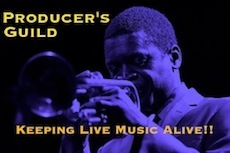 of Jazz performances and interviews with established and emerging musicians. Featuring Eye2Eye - Phila Jazz Project, Turtle Studios and PhillyCAM present a series of Jazz performances and interviews with established and emerging musicians. Featuring Jim Dragoni & Fred Weiss - Phila Jazz Project, Turtle Studios and PhillyCAM present a series of Jazz performances and interviews with established and emerging musicians. Featuring Laurin Talese - Philadelphia Jazz Project, Turtle Studios and PhillyCAM present a series of Jazz performances and interviews with established and emerging musicians. Featuring Loft Quartet - Philadelphia Jazz Project, Turtle Studios and PhillyCAM present a series of Jazz performances and interviews with established and emerging musicians. Featuring DivaNation with Kendra Butler - Philadelphia Jazz Project, Turtle Studios and PhillyCAM present a series of Jazz performances and interviews with established and emerging musicians. Featuring Mike Boone - Philadelphia Jazz Project, Turtle Studios and PhillyCAM present a series of Jazz performances and interviews with established and emerging musicians. Featuring Luke Carlos O'Reilly - Philadelphia Jazz Project, Turtle Studios and PhillyCAM present a series of Jazz performances and interviews with established and emerging musicians. Featuring Francois Zayas Sextet - Philadelphia Jazz Project, Turtle Studios and PhillyCAM present a series of Jazz performances and interviews with established and emerging musicians. Thanks to everyone at PhillyCAM and Turtle Studios. Thanks to all of the participating artists, the entire production, lighting, sound and video crews, as well as all of our volunteers. Special thanks to the PJP staff.